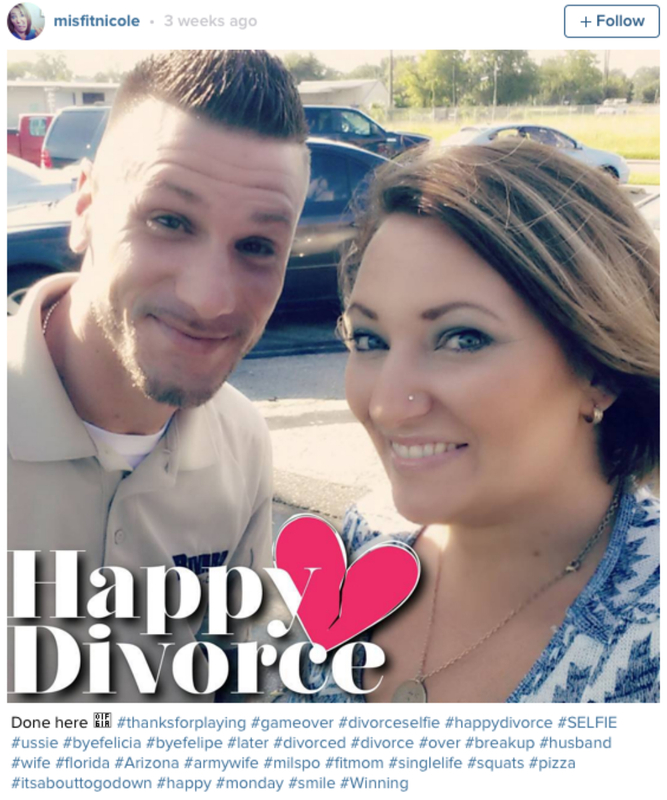 What Is A Divorce Selfie? 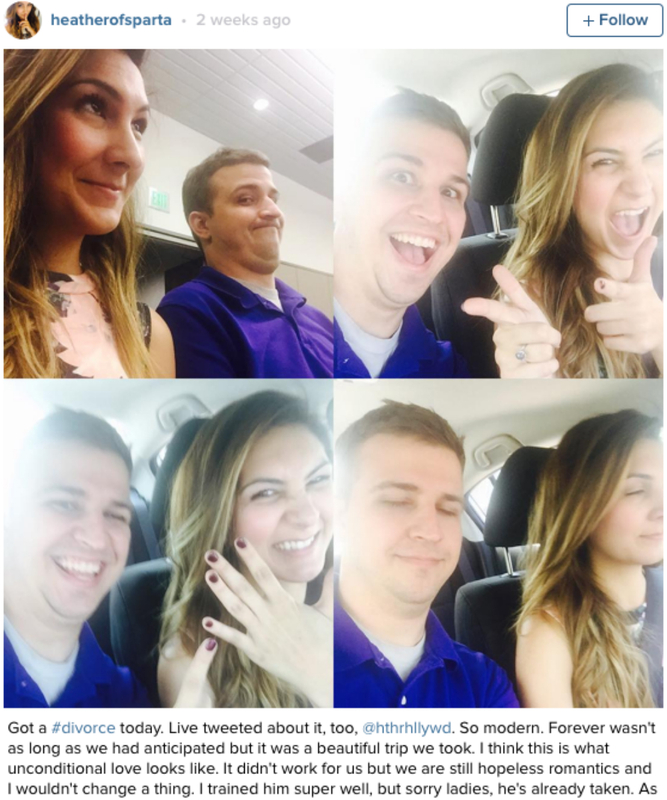 Divorce Selfies Are A Thing Now, Guys. But Should You Get On Board? From breakfast to break ups - are divorce selfies a social media step too far? Once Upon A Time, Instagram was a means of documenting your avocado on toast, your #justwokeuplikethis bed hair, your hot dog legs by the swimming pool. It was stupid, it was superficial, and its biggest impact on our lives was making us feel a bit hungry. But somewhere along the line, things have changed. 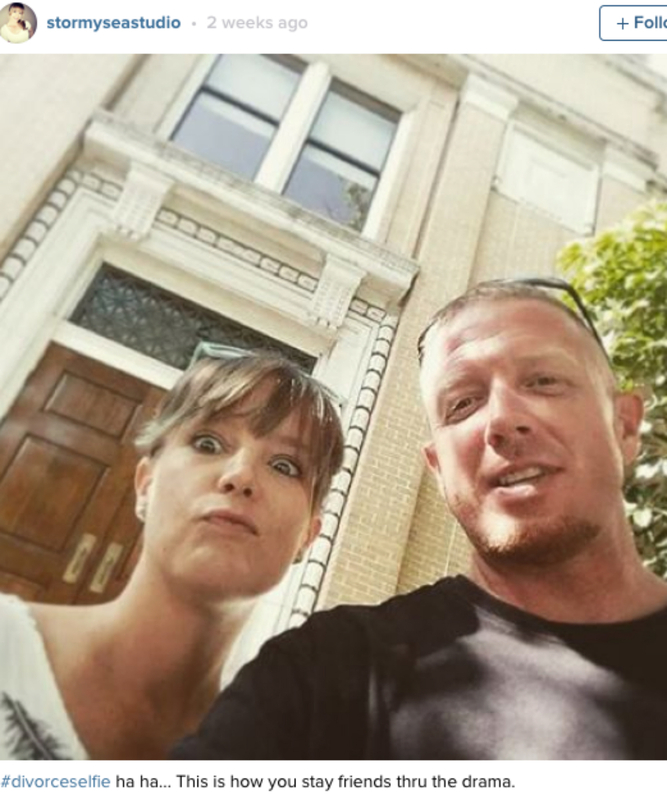 These days, Instagram is for sharing your divorce selfies. And it’s actually kind of amazing. 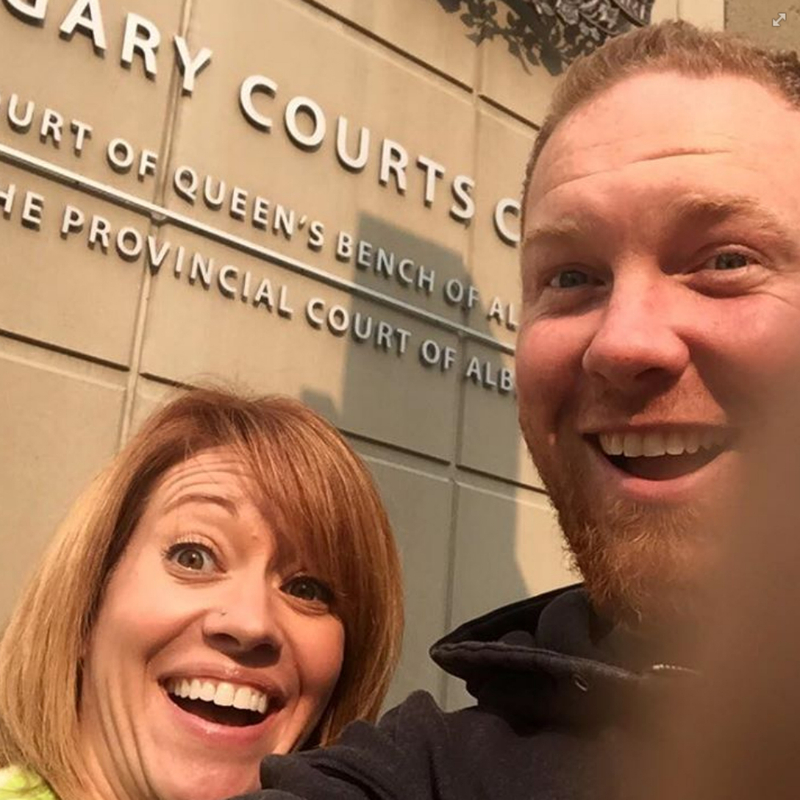 The hashtag #divorceselfie has been around for a while now, but things really kicked into overdrive last week, when Australian couple Shannon Neuman and her (now-ex) husband Chris posted a picture of themselves outside the courtroom where their divorce was finalised. Beaming at the camera like a pair of cats who got the cream (and who were then set off into the wild, free to hang out with any other cats they came across and live without the constraints of a marriage contract), the image has been shared over 30,000 times. We have respectfully, thoughtfully and honourably ended our marriage in a way that will allow us to go forward as parenting partners for our children, the perfect reason that this always WAS meant to be, so they will never have to choose. They’ll never have to wonder which side of the auditorium to run to after their Christmas concert or spring play, because we’ll be sitting together. They won’t have to struggle with their own wedding planning because we’ll be sitting on the same side of the aisle – THEIR side. And it’s struck a chord. 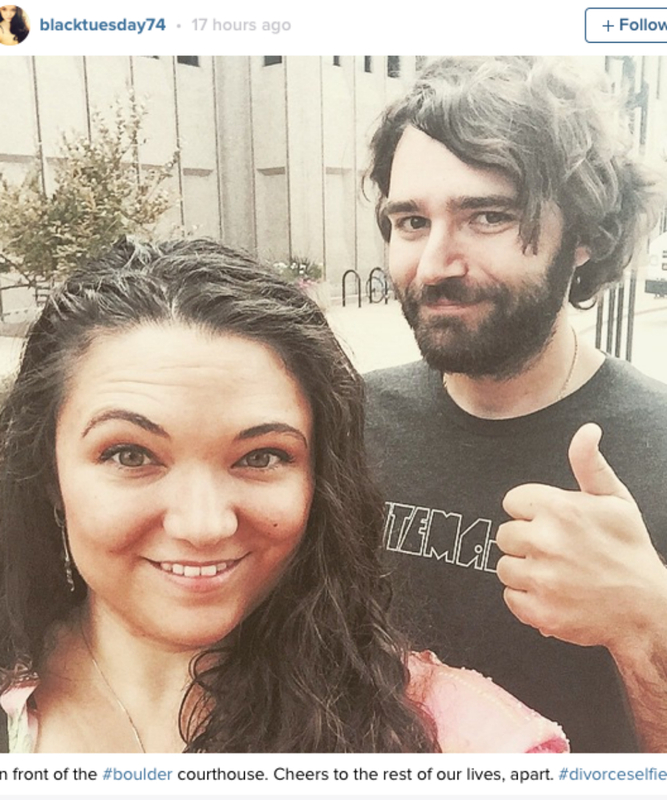 Since the image went viral last week, hundreds more couples (/ex-couples) have been promoting the idea of friendship post break up, by posting their own #divorceselfies too. What do you think? 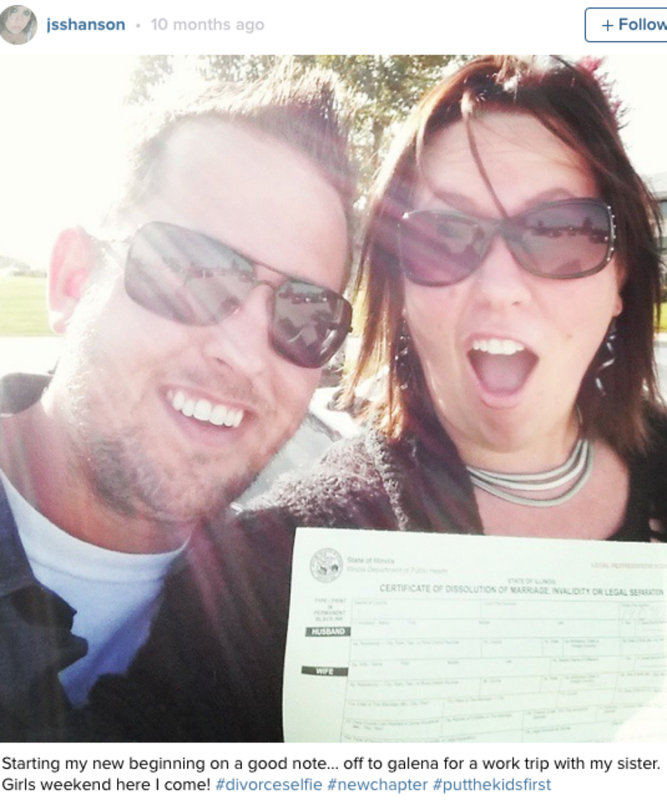 Would you get a divorceselfie?